Yes, will be there. No. Will consider attending future events and/or donate May be. 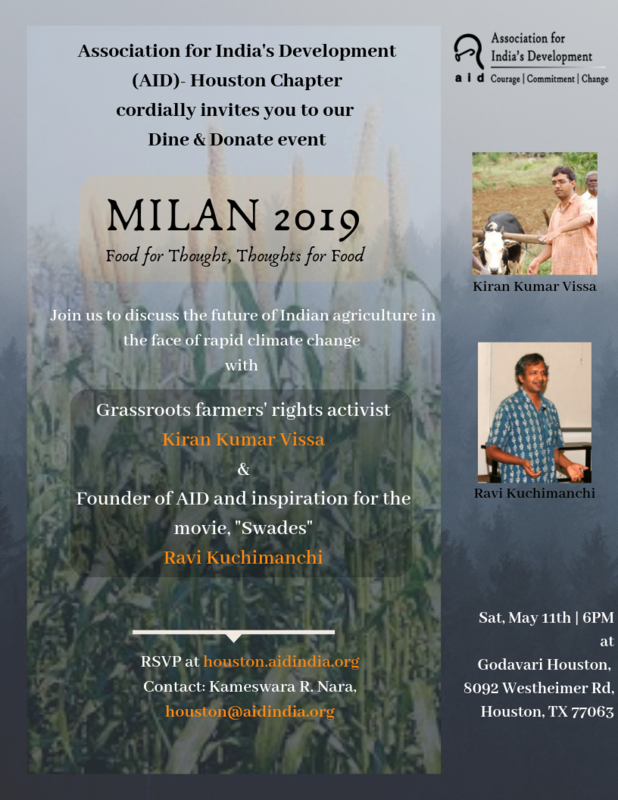 Kiran Vissa is an AID Jeevansaathi and long time social activist who works on issues related to the agrarian crisis and sustainable organic agriculture in India. An alumni of IIT-Madras, he received his master's degree from the University of Maryland. After volunteering for AID in the US for 13 years, Kiran returned to India in 2008 to work with farmers and agriculture issues full time. Over the last decade, Kiran has become a key figure in the farmers’ movement in India. He is part of the National Working Group of All India Kisan Sangharsh Coordination Committee (AIKSCC), a coalition of 200 organizations spearheading the nationwide protests. He leads a farmers’ organization Rythu Swarajya Vedika in Telangana and Andhra Pradesh and has been implementing AID’s initiatives in these states to prevent farmer suicides and address issues of rural distress. Ravi Kuchimanchi is an AID Jeevansaathi. As a graduate student, Ravi founded AID in 1991 with the vision 'problems are interconnected, so must be the solutions'. 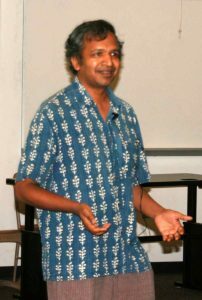 In 1998, after his postdoctoral work in theoretical particle physics at University of Virginia, Ravi focussed on development issues such as dams versus people and environment, rural electrification and integrated development.